This charming Studio is conveniently located, accessed by a small drive way, air-conditioned and just a short walk (via a small track) from Gaios central square, the beach, restaurants and all local amenities. It is only a few meters away from the famous Venetian Cistern (Sterna) on the slops of a hill and at the back of Agii Anargiri church. Avgi Studio consists of a small basic lounge / dinning area , a kitchenette, shower room, twin beds and a front private balcony with nice views. The ideal location, the wonderful views and the facilities offered, make Avgi Studio an ideal place for a relaxing and unforgettable holiday in the cosmopolitan island of Paxos. The accommodation has a great location in the lovely small Gaios village also if it's very hard to find. It's clean and exactly like in the pictures. The host responds super fast and is endeavored to help you with your arrival. 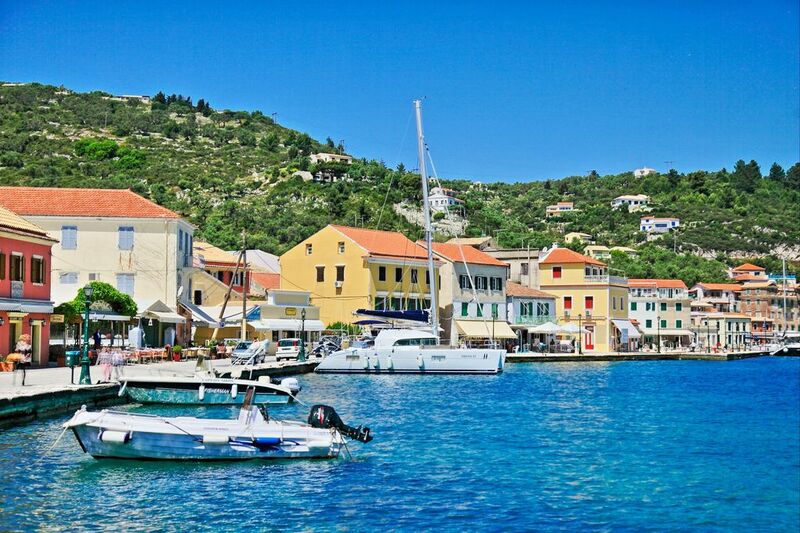 Perfect for a few days stay in which you want to discover Gaios and the rest of the lovely isle Paxos. Nice apartment in a great location and good service from Sopranos and the local team. Nice apartment in a great location and good service from Sopranos and the local team. I'm not sure picture of the view is 100% accurate though. Its either taken from the apartment above, or taken before a bamboo portion in the property below was constructed. However there is a communal table for all 6 apartments where you have a great view of Gaios. They sent us a lot of emails was a bit overwhelming. There was missing some room facilities, but when we told them theu provided ua with everything. someone took us from the port to the studio and location is very good although it's tricky paths at gaios.